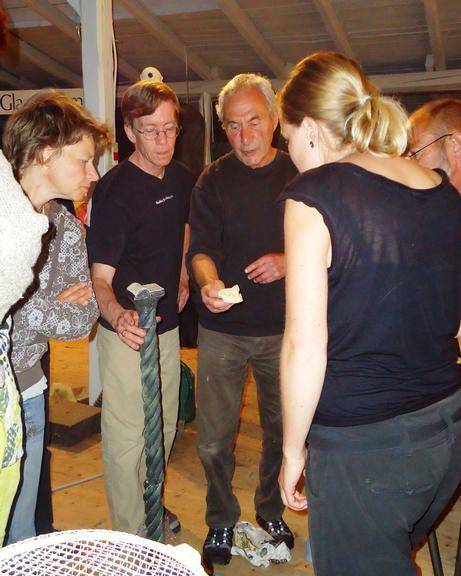 A network of local craftsmen on the island of Bornholm in the "Fyrbøder" project was working to create relations and cooperation among local craftsmen and increase the awareness and visibility of crafts nationally and internationally. In 2002 a group of craftsmen on the island of Bornholm created the "Arts & Crafts Association Bornholm", (ACAB). The 66 members of ACAB represent the following categories: pottery, glass, textile, metal and wood. The association was established in order to raise awareness about crafts and improve local businesses. The main objectives were: i) raising the skills among the members through internal and public training courses on e.g. export and outsourced production; ii) promoting the craft products locally, nationally outside the island and on the international market; iii) increasing the number of members and consequently the handicraft businesses; and, iv) increasing the sales volume of handicraft and stimulating culture tourism. The main activities were to organise: i) meetings to discuss the activity plan; ii) training courses and study trips for skills acquisition in product development, IT outsourcing and increasing profits; iii) working groups responsible for activities to be implemented after the end of the project; iv) visits to and exhibitions both in Denmark and abroad (EE, SE, UK, HU); and, iv) thematic handicraft tourism linked to study trips. The professional network ACAB has shown great ability to cooperate nationally as well as internationally. In fact, the association has enabled local businesses to become more established and even grow locally, nationally and internationally thanks to awareness raising among and training of local craftsmen.